DescriptionThese lovely little place cards would be fantastic for a countryside or Barn themed wedding. These place cards are made from plain Kraft card and come in packs of 10. Each place card measures 9cm(W) x 5cm(H). These lovely little place cards would be fantastic for a countryside or Barn themed wedding. 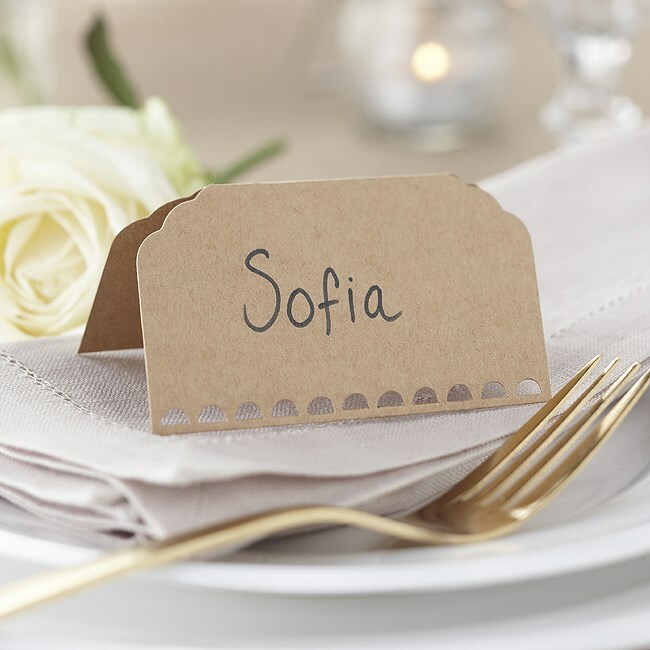 These place cards are made from plain Kraft card and come in packs of 10.